A growing form of research suggests that to succeed in school, children need not only aca­demic skills and knowledge, but also to be engaged in learning, confident in their abilities, and willing to persevere at even difficult tasks in their later stages of life. Grit is the Perseverance and passion for long-term goals that entails working strenuously toward challenges, maintaining effort and interest over time despite adversity, and plateaus in progress. The prime objective of academic system is to preserve learning capability mind-set of the learners even in the unmanageable spheres of life situations which may be obscure the cognitive ability of a person. The self – regulative person can alter the hitches in to fruitful domain that make life better-off. The academic grit is to make the cognitive functioning as a stepladder of learning incessantly. The tribal setting in India are far from the reach of Globalisation and neo economical world order of the rest of the regions. The lack of accessibility of life –oriented academic system is in lacuna and hence the lob sided the societal transformation persists. It is inclusive of continuous learning interventions that suits the tribal students to engage themselves in the academic practices. The self –regulative Social learning methods based on the tribal folks can alienate the academic problems as the same will make the learning process as an essence of life. The study reveals over two decades of research on students’ attitudes toward learning. Bandura, Pintrich, and others studying self-efficacy, self-regulation, and social learning theory have long maintained that stu­dents’ attitudes and interactions with their learning environment are inextricably linked to their academic performance (Bandura, 1986, 1993; Pintrich, 1989; Pintrich & De Groot, 1990). The Consortium on Chicago School Research review revealed that students’ attitudes are not fixed traits; they are “mallea­ble.” Further the (CCSR) review of the literature on non- cognitive factors that shape students’ perfor­mance calls an “academic mind-set” (Teaching Adolescents to Become Learners, Farrington et al., 2012). A sense of self-efficacy among stu­dents, or the perception that they have the ability to complete tasks, is also an indicator that they will seek out challenges, remain resilient in the face of failure, and take the long view rather than be stymied by occasional setbacks. A large body of research on expectancy-value theory also links the effort students invest in or expend on a task to their confidence that they can complete it successfully (Dweck & Elliott, 1983; Eccles, 1983; Eccles & Wigfield, 1995; Wigfield & Eccles, 2002; Wigfield, 1994). Farrington and colleagues suggest that the degree to which students feel they belong with their school peers also affects their academic mind-set and confidence that they can suc­ceed (Farrington et al., 2012). Broadly and simply defined, school engage­ment refers a positive attitude toward school and learning, and is captured in the item, “I like school.” Researchers have also linked engagement in learning—indicated, for ex­ample, by participation in class—to students’ perceptions of their own ability: if students think they can succeed, they are more likely to be actively engaged (Pintrich, 1989). Pin­trich and others have also consistently found that higher expectations and perceptions of competence are correlated with more frequently reported use of the cognitive and metacognitive strategies that lead students to try new things (Paris and Oka, 1986; Pin­trich, 2000; Pintrich & De Groot, 1992). As with academic self-confidence, Farrington et al. also tie school en­gagement to a sense of belonging in a classroom community (Far­rington et al., 2012). Students’ success in school may be affected not only by their sense of competence but also by their perseverance. Farrington et al., who distinguish perseverance from the collection of factors that define an academic mindset, refer to this as “grit” or “academic tenacity” (Far­rington et al., 2012, pp. 21-27). The research suggests considerable interplay between the two: students will persevere if they think they can succeed, and more likely succeed if they stick with a task. Perseverance can also involve metacognitive strategies related to goal-setting and self-reg­ulation of effort. Students may devote effort to a task not because it brings immediate grat­ification but because they believe they eventually can succeed and that, with effort, their competence can grow (Eccles, 1983; Shell, Murphy, & Bruning, 1989; Pintrich, 1989; Pintrich & DeGroot, 1990a; Pintrich and Schrauben, 1992). 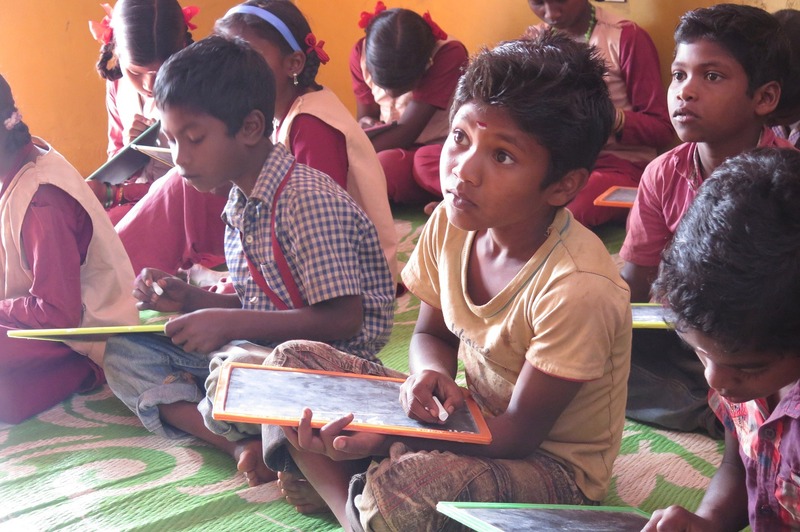 Thus the existing academic deficiencies that predominantly hinders the system of education can be alienated to the extent that bring the healthy academic life to the learners specially in Tribal areas schools of India. Bandura, A. (1986). Social foundations of thought and action: A social cognitive theory. En­glewood Cliffs, NJ: Prentice Hall. Bandura, A. (1993). Perceived self-efficacy in cognitive development and functioning. Educa­tional Psychologist, 28 (2), 117–148. Duckworth, A.L. (2009). True grit: Can perseverance be taught?Ted Talks. Re­trieved March 14, 2013, from http://www.youtube.com/watch?v=qaeFnxSfSC4. Dweck, C. S., & Elliott, E. S. (1983). Achievement motivation. In P. H. Mussen (Ser. Ed.) & E. M. Heatherington (Vol. Ed. ), Handbook of child psychology: Vol. 4. Socialization, personality, and social development (4th ed., pp. 643–691). New York: Wiley. Eccles, J. S. (1983). Expectancies, values, and academic behaviors. In J. T. Spence (Ed. ), Achievement and achievement motives (pp. 75–146). San Francisco: Freeman. Eccles, J.S., and Wigfield, A. (1995). In the mind of the actor: The structure of adolescents’ achievement task values and expectancy-related beliefs. Personality and Social Psychology Bulletin, 21 (3), 215–225. Farrington, C.A., Roberick, M., Allensworth, E., Nagaoka, J., Keyes, T.S., Johnson, D.W., & Beechum, N.O. (2012). Teaching adolescents to become learners. The role of noncognitive factors in shaping school performance: A critical literature review. Chicago: University of Chicago Consortium on Chicago School Research. Paris, S. G., & Oka, E. R. (1986). Children’s reading strategies, metacognition and motivation. Developmental Review, 6, 25–56. Pintrich, P. R. (1989). The dynamic interplay of student motivation and cognition in the col­lege classroom. In M. L. Maehr & C. Ames (Eds. ), Advances in motivation and achievement: Motivation-enhancing environments (Vol. 6, pp. 117–160). Greenwich, CT: JAI. Pintrich, P. R. (2000a). Multiple goals, multiple pathways: The role of goal orientation in learn­ing and achievement. Journal of Educational Psychology, 92, 544–555. Pintrich, P. R., & De Groot, E. V. (1990). Motivational and self-regulated learning components of classroom academic performance. Journal of Educational Psychology, 82, 33–40. Pintrich, P. R., & Schrauben, B. (1992). Students’ motivational beliefs and their cognitive engagement in classroom academic tasks. In D. Schunk & J. Meece, Student perceptions in the classroom (pp. 149–183). Hillsdale, NJ: Lawrence Erlbaum Associates.